Wood badge originated in September in 1919, Lord Robert Baden-Powell assembled by patrols the first Scoutmasters’ training camp held at Gilwell Park in Epping Forest, outside London, England. The camp was designed and guided by Sir Robert Baden-Powell, a 61 year-old retired general of the British Army and the founder of the World Scouting Movement. When they had finished their training together, Baden-Powell gave each man a simple wooden bead from a necklace he had found in a Zulu chieftain’s deserted hut when on campaign in South Africa in 1888. The Scoutmasters’ training course was a great success and continued to be held year-after-year. At the end of each course the wooden beads were used to recognize the completion of training. When the original beads ran out, new ones were whittled to maintain the tradition established by Baden-Powell. 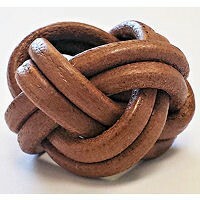 Because of these beads, the course came to be known as the Wood Badge Course. It continues to this day in England and around the world as the advanced training course for leaders in Scouting. At the time of the first course, Baden-Powell presented a Kudu Horn he captured during the Matabele War of 1896 to Gilwell Park. Its deep booming sound (when played with skill and no small amount of courage) would summon course members to assemblies and activities and was used in courses there for many years. 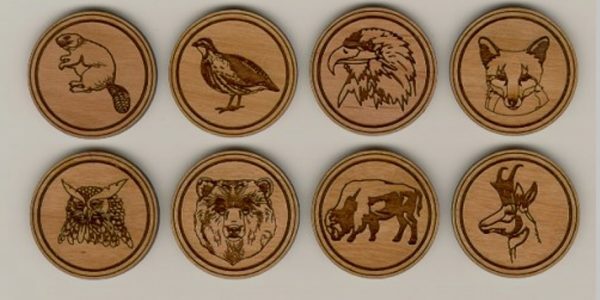 The Wood Badge critters have to one extent or another been part of the Wood Badge program since its inception in 1919. Wood Badge first came to America in the 1930s as a prototype but wasn’t truly standardized in America until 1948. From the very first class, participants were inducted into “Troop 1” and were split up into as many as eight different patrols with no more than eight participants per patrol. Just as patrols within a Boy Scout troop are given names to identify them, so too are Wood Badge patrols. When Wood Badge started in 1919, Mr. W. F. MacLaren, a district commissioner in Scotland, purchased Gilwell Park near London, England and presented it to the Scouting Association as a training center. We honor him by wearing a patch of the MacLaren hunting tartan upon the neckerchief. In England, from patrol leaders to adults, all are recognized according to their position in Scouting by using various colors of woggles. 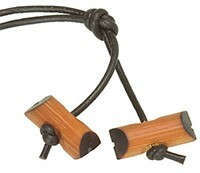 Wood Badge Scouters the world over are recognized by a two-strand leather woggle. 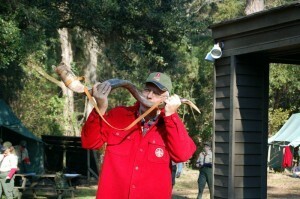 Wood Badge is named for the badge given to those who successfully complete the entire experience. The badge now consists of two wooden beads, worn on a leather thong around the neck. These are replicas of a bead necklace obtained in 1888 by Baden-Powell while he was serving in the military in Africa. In looking for a suitable recognition for the Scouters who completed the first course in 1919, Baden-Powell remembered the necklace and decided to give a bead to each of the participants. At this time the name Wood Badge became attached to the course.